(Natural News) A new study from the University of Southern Denmark investigates the historic role that nutrition has played in the evolution of the human brain. If it weren’t for essential nutrients such as magnesium and zinc, modern brains would not be able to function. Throughout history, the primitive hunter-gather must have stumbled across nutrient-dense foods such as seaweed. Coastal areas were very attractive to early homo sapiens. Various species of micro-algae could have been the key food that expanded the cognition of early mankind. Over several millennia, human brains have changed. One way or the other, man’s cognitive abilities are going to adapt to the circumstances. In the quest for knowledge, or perhaps by accident, mankind must have stumbled upon the very elements that augment cognitive function. Perhaps the apple wasn’t enough. The discovery of seaweed must have opened up entirely new capacities for human knowledge since it contains highly concentrated sources of magnesium, zinc, vitamin B12 and poly-unsaturated fatty-acids (PUFAs). Magnesium plays a central role in human cognition. It protects neurons and boosts new memory development. Zinc is a crucial element for learning, development, and memory. Poly-unsaturated fatty-acids (PUFAs) also help build the brain. Nutrient-dense seaweeds could have changed the entire thinking process of coastal cultures, broadening their perspective, enlightening their visionary traits, and stimulating interpersonal communication. Nutrients that nourish the nervous system could have been the key that guided Homo sapiens out of a primitive state. Healthy brain function, the ability to think, and the capacity to create is what determines the destiny of free-willed people. Nutrients such as magnesium and zinc promote positive thinking and clarity of thought. Seaweed’s virtues could have played an important role in helping cultures work together, invent, and plan. The discovery of seaweed could have opened the door to a new state of mind that elevated primitive man’s standard of living. In the beginning, mankind needed energy-rich foods to survive. When humans stumbled upon dense sources of essential nutrients (like in seaweed) it must have forever-changed the trajectory of their path. Seaweed provides both the energy and expanded cognitive abilities. He contends that foraging behaviors must have changed between 2.5 and 2 million years ago when Homo sapiens started traversing longer distances to get food. At the same time, the body structure of humans became more upright, as bipedalism took precedence. 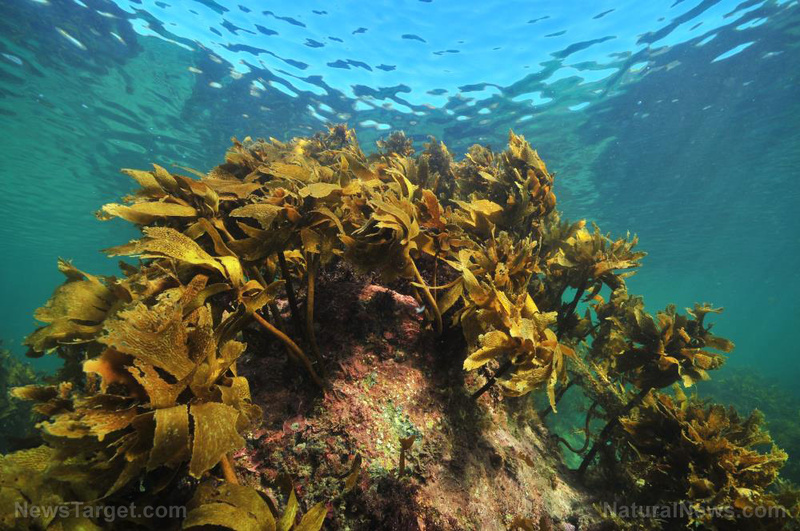 Coastal areas and the discovery of vitamin-rich sources of seaweed could have drastically influenced human behavior at critical turning points in man’s lineage. “Our ancestors would find foods like fish, crustaceans, snails, seaweeds, bird eggs and perhaps occasional dead marine vertebrates. But they probably did not have the necessary rudimental understanding of seasonal tidal cycles and their influence on shellfish availability,” the study authors wrote. “Seaweeds of different types, on the other hand, can be found all across the intertidal zone from the high water mark to the subtidal regions and they could be readily and repeatedly harvested for food by all family members, including women and children,” the authors state. Along with magnesium, zinc, and healthy fats, seaweed also provides copious amounts of Vitamin B 12, which is important for specialized cognitive functions such as language. Seaweed also contains iodine, which synthesizes thyroid hormones. This process is critical for nervous system development. Some seaweed contains taurine, an element that is found in the retina, the central nervous system and in the developing human brain. Interestingly, newborn brains contain three times the amount of taurine compared to adults. These key nutrients are found in high concentrations in different seaweeds. Microalgae are a great source of nutrition then and are much needed now to preserve the sanity and cognitive abilities of humans today. Is this often overlooked vegetable the key to fighting Alzheimer’s? Amazon looking to build “smart homes” with 5G – should you be concerned?